Car parts and parts, exterior items etc. I have been using ~ before, but also have elasticity and stickiness well I can not think of other than these two sides. This review is about item#40386841. I used it for the mall. Always use direct sunlight and 3M for things of quality that are not easily deteriorated. It was a correct answer. This review is about item#40386823. Put a primer and stick it firmly when pasting with this tape. This review is about item#40386857. This tape is the third one. 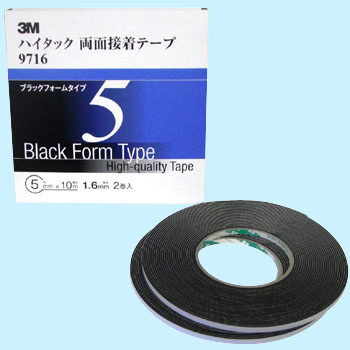 Although two of the past were also powerful tapes, it peeled off in one day, but this tape seems to be adhered firmly without noticeable color with black. Thank you very much. There is considerable stickiness elasticity, it seems super strong. The sour smell is somewhat concerned but acceptable. You'd better buy such things under the name of the manufacturer. Although it is common to all products, the original effect is obtained by firmly performing the substrate processing. I am satisfied with the adhesive strength that does not disappoint. It is a truly product. Used for attaching a fender arch of a car. Adherence is unquestionable, thickness is just right, degree of pressure is so soft that it fits into the gap of product unevenness unevenness is easy to use. I tried using various other products but it was nothing quite easily attached. I tried to purchase by asking the president of a car repair shop that is always indebted. The thickness is just right, it is the best tape for now. Basically good, weather resistance, tackiness is also considered sufficient. Although it is a pack of 2 pieces, it is separated by 1 cellophane so that 2 Tape reels do not stick together, but I would appreciate it if you can separate them individually with 2 cellophane. This review is about item#40386832.